Microsoft has grudgingly agreed to let current OneDrive users keep their 15GB of free cloud storage and 15GB of free Camera Roll “bonus” storage, rather than dropping you to 5GB as previously stated, but only if you’re aware of the offer and don’t mind a bit of spam. To take advantage of the offer, visit this Microsoft page. Microsoft representatives said the company does not have a supplementary explanatory blog post or statement to add at the present, but they did supply the webpage address, whose URL lists it as a “preview” at the moment. You’ve already navigated the first hurdle: since users have to manually opt in to the offer, OneDrive users who are unaware of the deal won’t be able to take advantage of it. And there’s a small catch: by selecting the offer, you agree “to receive promotional emails from OneDrive,” although Microsoft immediately says that you can unsubscribe as well—how to do that, however, isn’t exactly clear. It appears that unchecking the “promotional email” box, then clicking the “Keep your free storage” button also appears to work. In response to a question from PCWorld, a Microsoft representative said that the wording is being changed to “make it more clear”. Why this matters: Microsoft’s reputation has climbed of late, as it’s reached out and worked with customers on the development of Windows 10, Office, and even Solitaire. But the end of unlimited OneDrive storage was a real black eye for Microsoft’s outreach efforts, and even the latest offer feels a bit half-hearted. If you want your friends to be able to take advantage of the offer, you’ll need to share it with them. Over 60,000 different users complained about Microsoft’s changes to its OneDrive policy, which also reneged on an earlier deal to supply Office 365 subscribers with unlimited OneDrive storage at a future date. But what users were really unhappy with was Microsoft’s decision to also reduce the amount of free storage from 15GB to 5GB per account, as well as discontinuing the 15GB camera roll storage bonus for mobile users who uploaded their mobile photos to OneDrive. Microsoft’s new offer reverses the latter decision. Microsoft has apparently maintained the 1TB limit on user accounts, however. In November, Microsoft also said that it is also doing away with the 100GB and 200GB OneDrive paid plans priced at $1.99 and $3.99 per month respectively. Instead, it will roll out 50GB of storage for $1.99 per month in early 2016. Anyone needing more storage than that can get 1TB by signing up for Office 365 Personal for $6.99 per month. Unreliability – Cheap, failure-prone commodity hardware creating a requirement to overprovision cloud resources to plan for server failure. 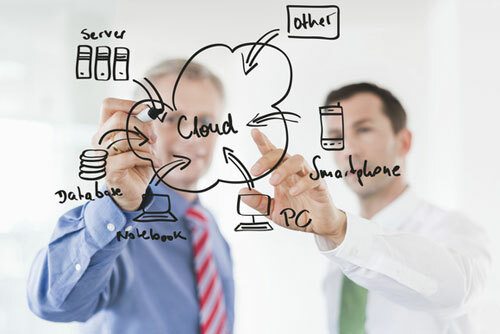 Management – Attaining experienced cloud engineers to tweak and tune cloud resources, handle monitoring and alert response, and manage the applications and workloads running on top of cloud resources. Cloud sprawl: To get the additional services needed to run workloads, secure deployments and other cloud-related tasks, businesses needed multiple providers leading to shadow IT, platform lock-in, billing confusion, and service compatibility glitches. Shorter lead times to deployment by integrating on-demand resources and the implementation of DevOps automation methods. Find out how this category change could impact your business and why Rackspace Managed Cloud was positioned the furthest for completeness of vision and ability to execute in the Leaders Quadrant in the North American and European categories. As traditional perimeters disappear, organisations need to adopt new measures to ensure data and devices are safe in the cloud. One observation about those clouds – they were constantly morphing. They had no fixed edge as they billowed and blew across the sky. That lack of an edge that clearly defines the cloud environment your organisation may be considering sending your data to can make it seemingly difficult to protect. In fact, security is cited in numerous studies as the number one inhibitor to cloud adoption. Think about possible points of entry for an attacker in a cloud environment. A customer uses an insecure mobile phone to access your network … you can be attacked. A contractor on your network uses a web application that has an embedded vulnerability, a back door that is not protected … you can be attacked. 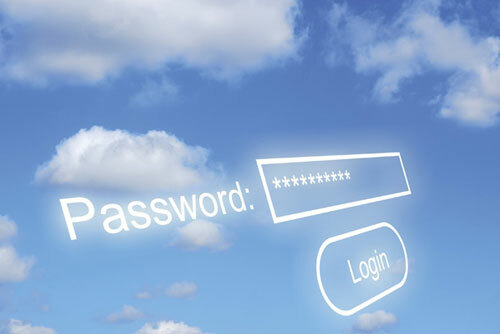 A database administrator at the cloud provider shares a password with someone … your data can be breached. These represent just some of the scenarios that keep the chief information security officer awake at night. Securing the security perimeter of the traditional data centre was made relatively straightforward with the help of firewalls and intrusion detection systems. When we traded terminals for PCs, anti-virus software helped keep those devices safe. With employees, customers, business partners, suppliers and contractors increasingly accessing corporate applications and data with mobile devices from the cloud, protecting the edge of the network is no longer enough. As the traditional perimeter disappears, here are six things to do to help ensure security in the cloud. People within your organisation who are privileged users, – such as database administrators and employees with access to highly valuable intellectual property – should receive a higher level of scrutiny, receive training on securely handling data, and stronger access control. Change the level of access to data in the cloud depending on where the user is and what device they are using. For example, a doctor at the hospital during regular working hours may have full access to patient records. When she’s using her mobile phone from the neighborhood coffee shop, she has to go through additional sign-on steps and has more limited access to the data. Identify databases with highly sensitive or valuable data and provide extra protection, encryption and monitoring around them. Ensure that corporate data is isolated from personal data on the mobile device. Install a patch management agent on the device so that it is always running the latest level of software. Scan mobile applications to check for vulnerabilities. The network still needs to be protected – never more so than in the cloud. Network protection devices need to have the ability to provide extra control with analytics and insight into which users are accessing what content and applications. Security devices, such as those validating user IDs and passwords, capture security data to create the audit trail needed for regulatory compliance and forensic investigation. The trick is to find meaningful signals about a potential attack or security risk in the sea of data points. Adding a layer of advanced analytics – a security intelligence layer – brings all of this security data together to provide real-time visibility into the both the data centre and the cloud infrastructure. In the same way that clouds in the sky have an ever-evolving perimeter, so does cloud computing. Security is an important factor in cloud deployments and by building in the security capabilities described in these six steps, organisations can better manage and protect people, data and their devices in the cloud. Despite the strange behavior, the explanation is straightforward. What WNC InfoSec picked up on using HoneyDocs is automated backend processing that Dropbox does on certain kinds of files. Dropbox allows users to see previews of some kinds of documents, included “.doc” ones, but it must build a preview of those documents, according to a Dropbox spokeswoman. To do that, the document must be opened. According to Dropbox’s website, users can open Word, PowerPoint, PDF and text files from directly within their browser, which saves them from needing certain software programs installed on their computer. Still, the behavior may make some people nervous. Security experts generally recommend that for stronger privacy, users should encrypt documents before transmitting those files to Web-based storage providers. 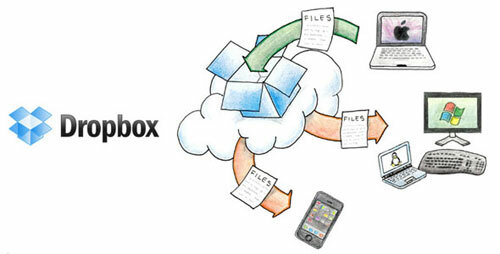 Dropbox forbids all but a small number of employees from accessing user data. Its technical support staff may in some cases have access to file metadata, or the data identifying a file rather than its content. “We have strict policy and technical access controls that prohibit employee access except in these rare circumstances,” according to its policy.